For about a year, from summer 1902 to spring 1903, Broadway strollers might hear exquisite sounds of healing emerging from the windows at 529 South Broadway, where the "skilled physicians" of The E. M. M. Curative Company practiced their pseudoscientific arts with electrical devices, x-rays, and gizmos that gave off heat, light, musical waves and faradic emanations (gals, you may be familiar with these last if you own a portable massage unit). 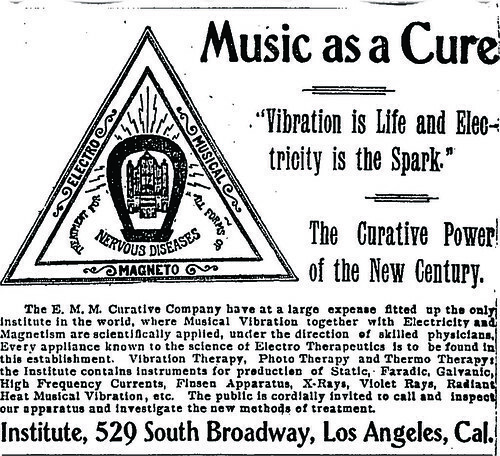 Standing for Electro Musical Magneto, and using a unique patented device created by Henry Fleetwood, this interesting agency regrettably failed to leave any evidence of customers satisfied or otherwise. Incorporated in March 1902 with $200,000 in capital stock, the company was run by Fleetwood, D.W. Stewart, Herbert M. Pomeroy, lon [sic] L. Clark and Walter Rose. It was a partnership quickly marred by tragedy, with treasurer and medical director Pomeroy, 38 and a drug addict, committing suicide by morphine in July 1902, out of an overwhelming urge to flee the world of the living and be with his dead mother again. Pomeroy, of 950 West Washington Street, left a note to his partner and personal attorney Rose asking him to cover up the cause of death and to be kind to the wife and babe he left behind. Rose and Pomeroy’s personal physician O.D. (you can’t make these names up) Fitzgerald tried to honor Pomeroy’s wishes, but in stealing the body away to a private mortuary before the authorities were called so incensed Coroner Holland that he had the contents of the suicide note released to the press. We next hear of the practitioners of Fleetwood’s methods on September 14, 1904, when young Frederick B. West, a physician who was formerly a prominent fixture at The E. M. M. Curative Company before relocating to San Diego, was arrested at his sister’s home 240 South Grand Avenue on a murder charge relating to the death of Isabella Camello, 19. The girl was alleged to have gone to West in San Diego to procure an illegal operation, the incompetent performance of which resulted in her death. West insisted that while he had treated the girl for a stomach ailment, perhaps with a vibrating wand that gave off flashes of light and musical tones, he had not performed an abortion. The case was not reported on further, leaving us just the briefest glimpse of the world of quack medicine in Edwardian L.A.
By 1952, most of the lovely Melrose Hotel’s 200 occupants were elderly pensioners — elderly pensioners with exciting, glamorous, Auntie Mame-esque pasts. 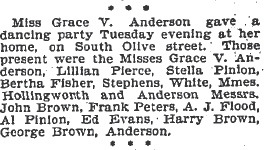 First there’s the Melrose Hotel’s parttime switchboard operator, Anna Pearce, a former singer on the Considine vaudeville circuit around the turn of the century. through the Melrose. She had recently won a large settlement in an automobile accident, and was planning to return to East Africa where her husband was buried. And Beulah Monroe was a fixture on the local theatre scene, making her debut in Oscar Wilde’s The Ideal Husband in 1919, opposite Edward Everett Horton. She appeared frequently at the Little Theatre at Figueroa and Pico, and also acted with Florence Roberts, Wallace Beery, and Neely Edwards during her career. 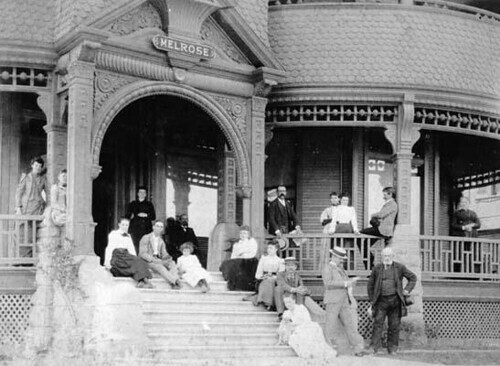 For more on the Melrose and its exciting inhabitants, take a look at what Joan and Nathan have had to say about mysterious fires, rowdy teen girls, and the tragic march of progress. 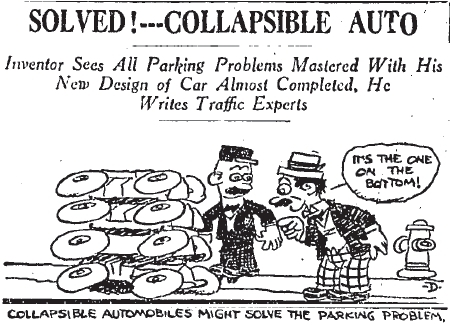 April 7, 1940. Mike Scaiola, 29, and Rocco Spagnuolo, 35, both cooks, were roomies at the Dome. Over what they argued in their Domeroom is lost to time; all that’s known is what Scaiola later told the cops—during a scuffle he saw the .32 automatic protruding from Spagnuolo’s shirt and attempted to wrest it from him. Oldest story in the world: accidental discharge, someone takes one in the chest, and Spagnuolo’s DOA at Georgia Street Receiving. September 18, 1941. Mrs. Cleo (Jackie) Wooten, 19, was a plucky gal, but take this as a warning: having pluck in spades gets the FBI involved. Cleo was visiting friends in Cunningham, Kan. for some time and was there driving the car owned by Eddie Palzo of that city. He had no objection to her driving the car around Cunningham, but swore out a felony complaint when the Dome resident decided to Dome home. She was picked up at Third and Figueroa when an officer noticed the license on his stolen car list. July 4, 1942. The character of Dome resident Joe Barron, 28, cook (another cook? Too many cooks really do spoil the pot), did not reflect well on the Dome’s nobility. He was strolling down Fifth Street and passed between one William O. Smith, 37, and Smith’s 21 year-old wife Dorothy when he elected to make an off-color remark to the wife. That didn’t go over well with Mr. Smith, a recent transplant from Arkansas, who slashed Barron’s throat, severing an artery. Luckily, Dorothy instructed William to press his thumb on the artery to stanch the flow of blood, and they hauled Barron into a room at 107 E. Fifth until medical aid could be summoned. Barron survived, we trust, wiser and more gentelmanly. December 21, 1942. Mrs. Leona Smith was followed home from a café last November 7, only to have her purse snatched—a purse containing $1600 in cash and checks and $4800 worth of jewelry ($6400=$89,216 USD2007). After a month of searching by cops based on Leona’s description of the man and his car, they finally popped Clifford Allen Payne, 32, at the Dome. He took them to the 3500 block of Helms in Culver where he dug up a glass jar containing the checks and jewelry. The real mystery is what she was doing with that sort of booty in her purse. That’s what we have for now. Can’t promise it’s the last of it, as tales and details may still bubble up from the cracked core of time. What about you? Remember your great aunt Nell? The one you socked away at Shady Pines? (The rest home, not the cemetery.) She may harbor descriptions of devious Dome debauchery from back in the day. Go find out before you have to shift Shady Pines. Miss Bertha Fisher, aged 14, had looked forward to dressing in the latest fashions and attending parties with her friends. Unfortunately for Bertha, her parents had other plans for her future. As strict Salvationists, they thought that she was old enough to don a Salvation Army uniform (which was definitely not Bertha’s notion of a fashion forward frock) and begin trolling the streets of Los Angeles for souls in peril. Bertha preferred saving dance cards, party invitations, and lovely corsages to saving souls, so she ran away with a young man named Mr. White. Frantic over Bertha’s escapade, the distraught Fishers spent hours haunting the local police station hoping for news of their wayward daughter. Police were on the lookout for the reluctant missionary, but Mrs. Fisher became antsy and enlisted the aid of another Salvationist to help her comb the city for the missing girl. After Bertha had been gone for nearly two days, Mrs. Fisher and her fellow soldier in God’s army got a tip. The two dashed to the cop shop where they breathlessly announced to the assembled officers that they “knew where she was at”. The women had found out that Bertha and Mr. White were occupying room 28 at the Melrose Hotel, and asked Officer Richardson to accompany them to the suspected love nest. The landlady at the Melrose Hotel told Officer Richardson that the young man had engaged a room for his sister, and because she’d had no reason to doubt his veracity, she’d rented it to him. Mrs. Fisher was doubtless relieved when the landlady went on to say that even though White had rented a room for Bertha, he had never shared it with her. To avoid arrest Bertha reluctantly went home with her mother, but it’s unlikely that their difference of opinion was settled that day. 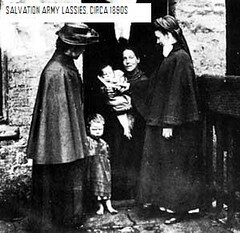 Bertha was heard to remark, “I’d rather go to the Reform School than stay at home if I have to become a Salvation Army lassie”.